It started out as an online love affair. 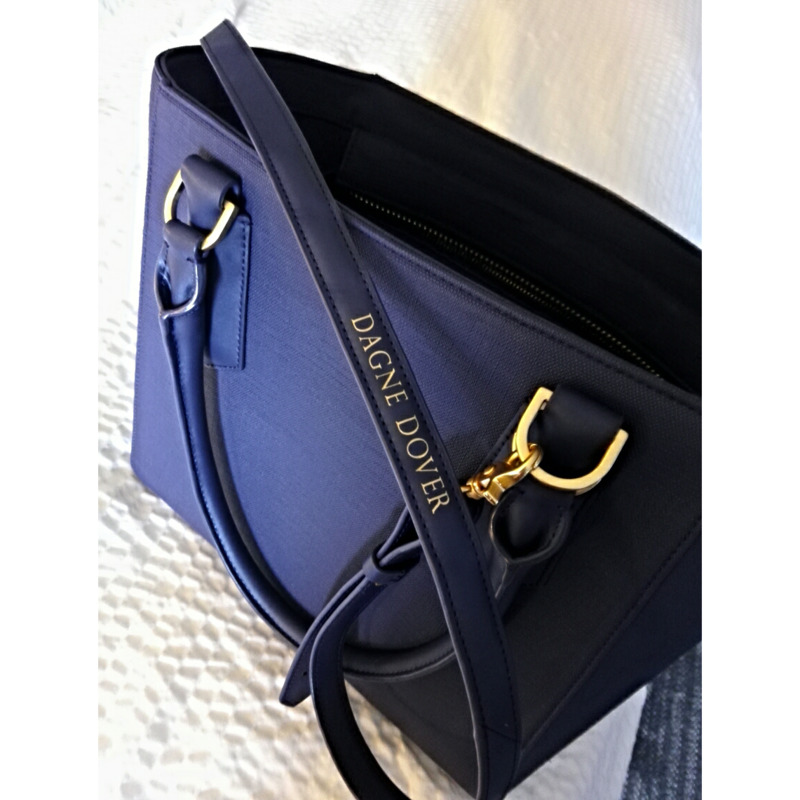 Before she knew it she was the owner of a spanking new mini tote by the one and only Dagne Dover. 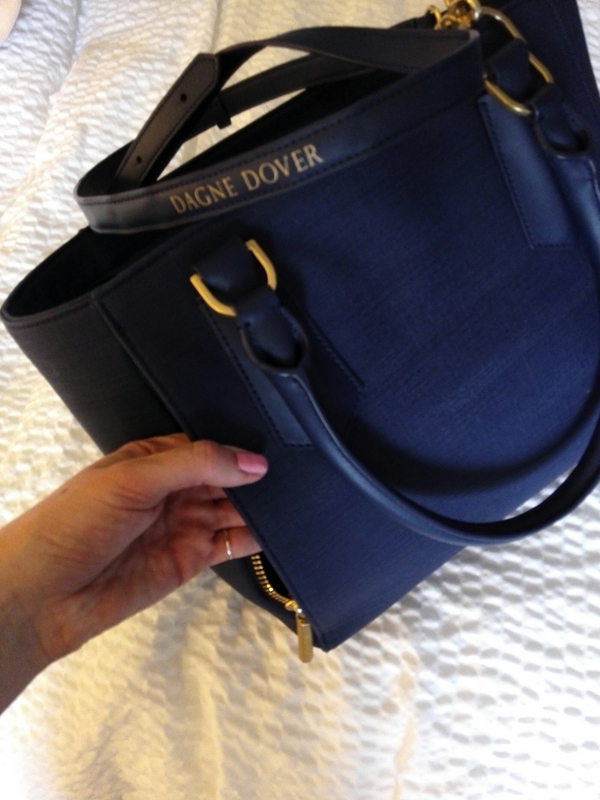 She chose the Mini Tote in midnight blue. She had enough black handbags. Grant it she was not afraid to sport a vibrant mustard or a lime green Kate Spade, but since we were still technically in winter she opted for this little stunner. It goes perfect with her midnight blue MaxMara S coat. The perfect ensemble. So what’s so great about this bag anyway? It is approximately 12 inches in measurement. There is a detachable strap for a more casual, messenger look. Personally, she prefers the more dainty look simply slinging it over the elbow. It has two inside padded secret pockets, big enough for her 7″ phablet and iPad. You can see on the far left where her water flask neatly sits! Since she travel for work a lot, she is often thirsty. 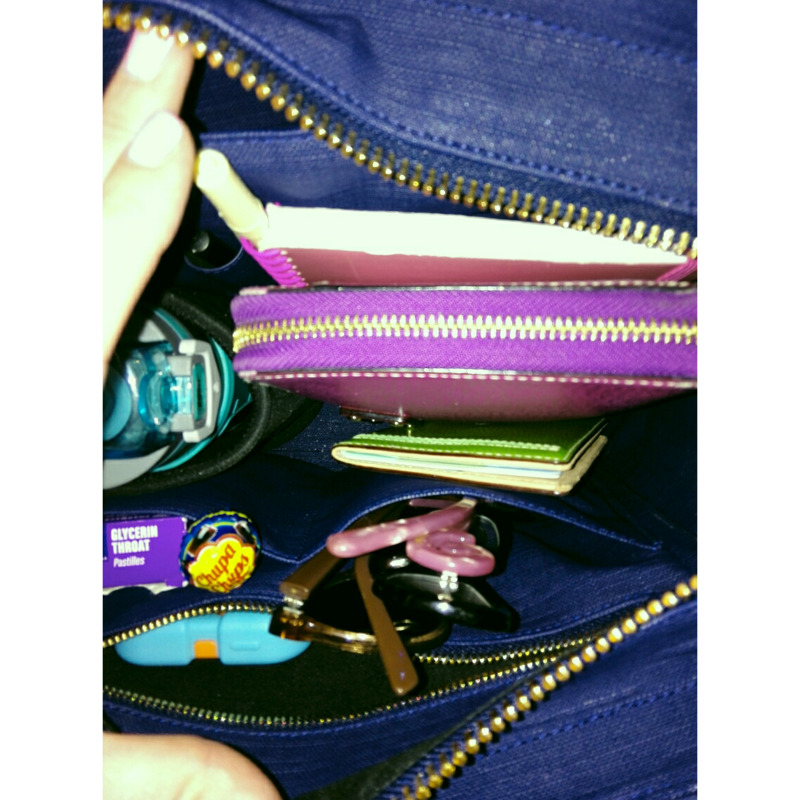 She carries both her prescription glasses and Betsey Johnson sunnies in a another inside nook, along with her stash of candy. Her Kate Spade travel wallet, passport, diary and her new 11″ MacBook Air, too, fit. 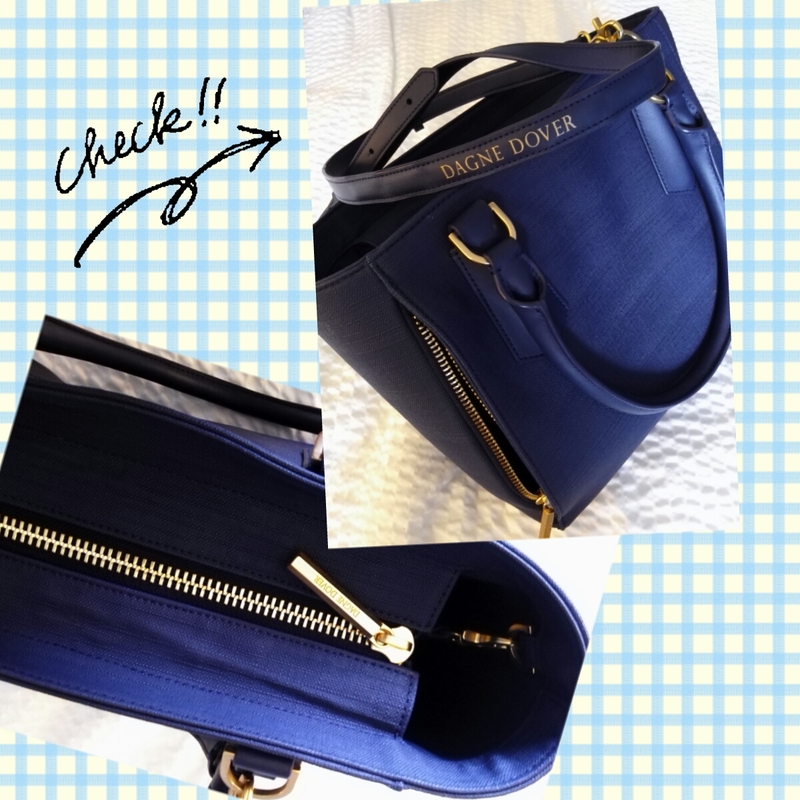 She is simply in love with this new addition to her bag collection. 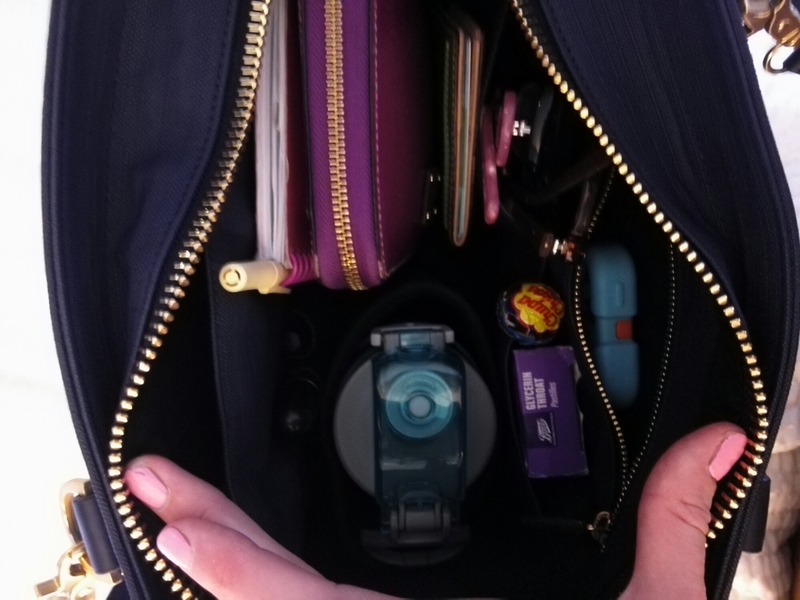 Check out the secret compartment right at the bag’s exterior. It’s perfect for safe storage or for something you use regularly. Please note this is not a paid blog. The blogger invested in her own tote and all photographs are copyright.